First Season chicken pieces (we used thighs) with Garlic powder, chicken seasoning and black pepper and cook in the oven at about 180 degrees for 25-30 minutes. In the meantime in a large pan fry onions, garlic, fresh tomatoes and diced baby potatoes. We added chicken seasoning, paprika, garlic powder, herbs de provence and curry powder. Then add water and a chicken stock cube. Then add in the cooked chicken and simmer all together for at least 45 minutes. First you need to soak the black eyed peas for about an hour to soften them ready for cooking. Then put the black eyed peas in boiling water. Add chicken stock, coconut milk. Then wash and add the rice. Add more water if needed and let the rice simmer on a medium heat until the rice is cooked. This was a really simple but tasty side dish. First fry chopped onions until soft and then add tinned chickpeas and lots of cracked black pepper. Fry until the chickpeas and onions are soft and cooked through. For this potato salad you will need green banana, Caribbean sweet potato, avocado and baby potatoes. First peel the sweet potato and put them on to boil until soft. Also boil the green bananas in water whilst they are still in their skins and boil the baby potatoes until soft. Once soft and cooled, peel and slice the bananas and chop the sweet potatoes. Then put all the ingredients in a bowl add a little salad cream and some low fat mayonnaise and mix. The group also prepared a fresh salad with lettuce, tomato, cucumber, mixed peppers, red onion and rocket. Fresh Salad and Caribbean potato salad. Chickpeas with onion and fried plantain. Chicken curry, rice and peas, chickpeas, plantain, salad and potato salad. The group, once again, had a lovely meal and worked really hard to produce such an excellent spread. We are very grateful to the staff who shared their cherished recipes with us. nd enjoyed the climbing frames and the gym that was located further inside the park. 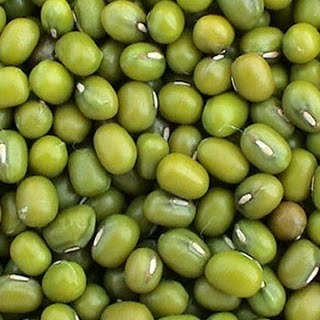 These are a green bean widely used in East African countries in stews and side dishes. We are using them today for a spicy stew like dish. First we had to soak the Ndengu beans over night to soften them ready for cooking. We then put the ndengu beans in a pan of boiling water for about an hour or until they are soft. In the meantime dice an onion, chop garlic, fresh tomatoes and fresh coriander. Then fry the onion and garlic adding curry powder. Once the onion has softened stir in the tomatoes and coriander. Once the ndengu beans are cooked add the onion, tomato and curry powder mixture to the beans. Katogo is another East African dish using green bananas. Firstly these were peeled and put in a pot of boiling water. Then we chopped tomatoes and onions and put these on top of the green bananas. We then ground up peanuts until they were a crumb like texture. We then mixed the ground peanuts with warm water and salt and poured the mixture over the green bananas, onion and tomatoes and left this to simmer. To make the chapatis we took plain flour and added warm water. We added warm water until the flour began to come together in a dough. We then worked the dough for about 15 minutes until it was smooth. Then everyone took turns in rolling out their own Chapatis ready to be fried in a flat pan. They were then fried for a couple of minutes each side using a small amount of oil. We then served all these dishes together. On the plate you can see a chapatis, Ndengu beans, Katogo and Spinach. For many it was the first time trying these dishes and overall the group really liked it. All the flavours worked well with each other and it was great to try something new. Once again the group would like to thank those who came and worked with us today and who shared their traditional recipes. Falafel originated from Egypt as an alternative for meat during lent. Now it is very popular all over the world and is a great vegan alternative. Firstly blend Chickpeas and Fava beans in a food processor until they are fine crumbs. Then blend together Onions, garlic, green chillies and coriander to form a paste. Mix all ingredients together and add plenty of cumin powder, coriander powder and a little salt. Using your hands make into small balls and sprinkle with flour. Then deep fry until golden brown. Tahini is a paste made out of sesame seeds. We blended this paste with fresh garlic, lemon juice and a little water until smooth. We then served the falafel in a tortilla wrap with the tahini dip and a bit of salad. The group said the flavours of the falafel were very interesting and thought the Tahini dip was the perfect accompaniment. First we diced pumkin, green banana and yellow yam and put into a pan of boiling water. Slice 1/2 red scotch bonnett pepper and an onion. Add a handful of Okra and a pinch of salt and pepper. We then added chopped plaintain to the soup when the other vegetables were fairly cooked. After all the vegetables were cooked we blended the soup and served with a little cream on top. The group really loved the flavours of this soup, it was sweet and spicy and a great winter warmer. Firstly peel pineapple and remove the core and cut into slices to make rings. In the meantime make the batter for the cake by mixing 230g of unsalted butter and 400g of granulated sugar until it is a creamy texture. Then mix in 2 eggs, 120ml buttermilk, 250g flour, 2 tsp baking powder and 2 tsp of vanilla extract until a smooth batter. Line a cake pan with the pineapple rings adding a glacier cherry in the middle, and pour over the batter. Then cook in a preheated oven at 180 Degrees or gas mark 4. This should take about an hour and the cake should be golden brown. Even though we burnt the top of our cake a little it was still delicious and everyone thought it topped off the meal brilliantly. Rathbone Youth Club were having way to much fun over the summer period. The young people decided that they wanted to access sports facilities in their local area. Each week the young people decided on what sports they would like to do next and Here is a few pictures from a few of the Thursdays during the summer period JAGS – http://www.jags.org.uk/ James Alleyens Girls School – Has amazing sports facilities and the staff were extremely helpful d the youth workers made it happen. It was great for everyone involved to find out about local sports facilities in thier local area.